If there is one colour that has been dominating the design world in the last few years — and still refuses to go away, it’s millennial pink. This soft pink shade has ruled social media feeds, businesses, food, fashion, and more. 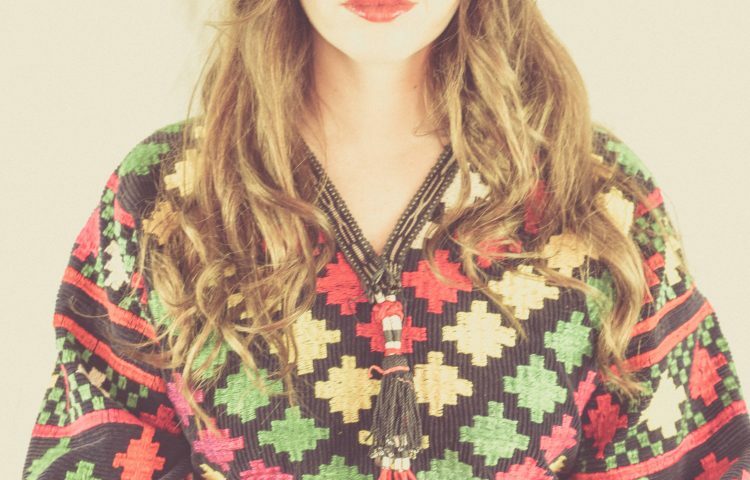 In 2016, it was picked as the Pantone Color of the Year, a title that helped boost its popularity. While some argue that this colour trend has reached its peak, it shows no signs of abating, at least in the watch industry. Case in point: here are some of our favourite pink watches by far. 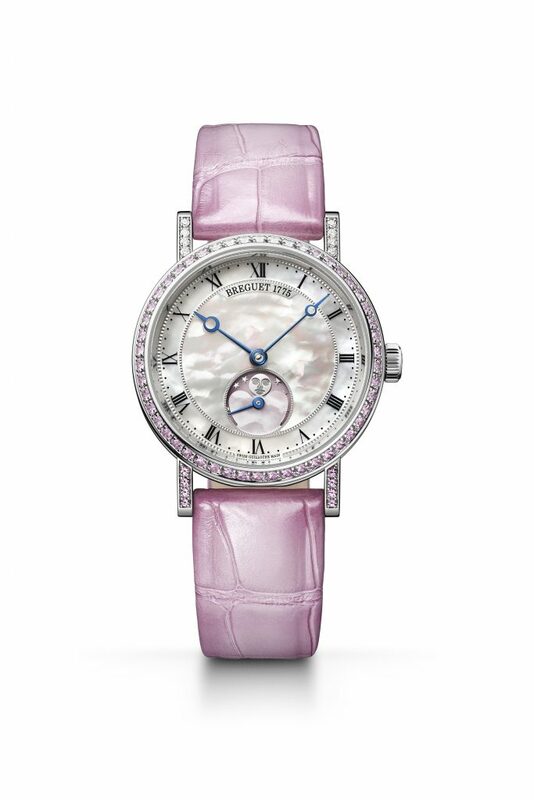 Pretty in pink is an understatement for Breguet’s Classique Phase de Lune Dame 9085. At 30mm, it is a dainty piece that sits elegantly on the wrist. 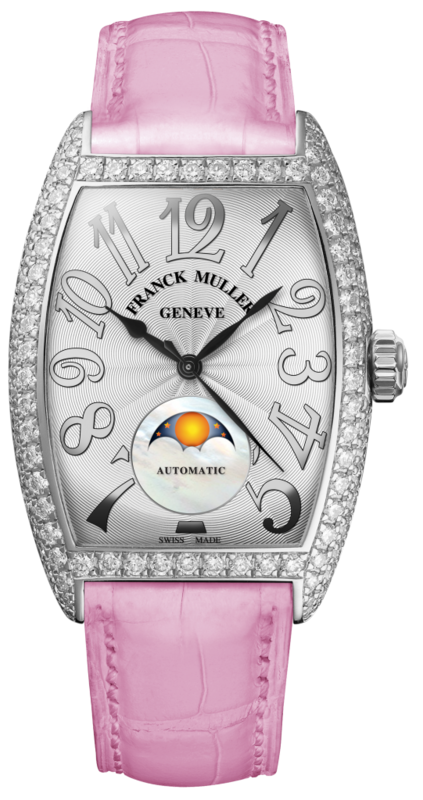 The bezel and lugs are adorned with shades of diamonds and pink sapphires; while the mother-of-pearl dial imbues the watch with softness and light. A moon phase appears at 6 o’clock against a lacquered pink backdrop, along with small seconds on a pink mother-of-pearl heart. 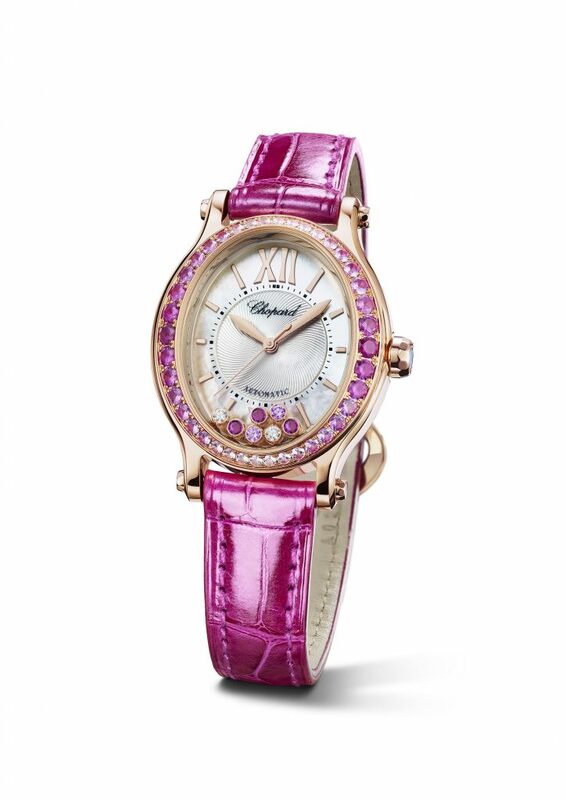 The satin-finished alligator-leather strap matches perfectly in graded shades of pink. On the dial is a chapter ring with Roman numerals and Breguet open-tipped hands in blued steel, powered by self-winding Calibre 537L with 45 hours of power reserve. Unapologetically feminine with its bold Barbie pink shade, the Happy Sport Oval features a distinctive oval shape with a gently tapered 18K rose gold bezel set with pink sapphires and rubies. 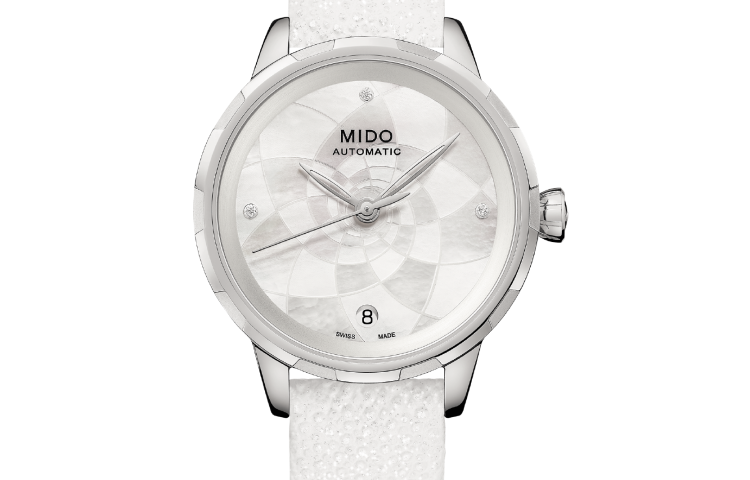 It frames seven moving gems over a white mother-of-pearl dial with silver guilloche centre. 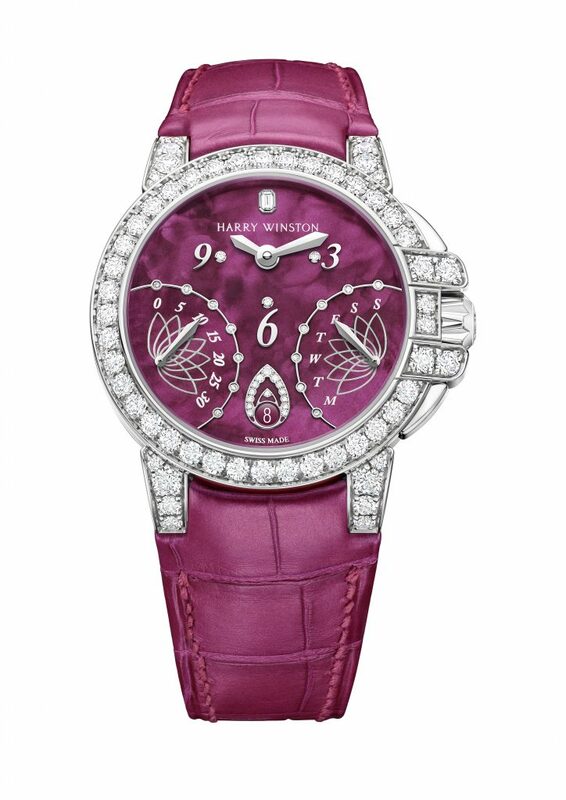 The final touch is a matching fuchsia alligator-leather strap. To celebrate the 25th birthday of the Happy Sport, the watch is now equipped with the in-house automatic 09.01-C Calibre specially developed for 30mm ladies’ watch cases, which can be seen from the glare-proofed sapphire crystal. More than 25 years ago, Franck Muller introduced the Cintrée Curvex, a watch with a tonneau-shaped case and curved architecture. It has since become one of the brand’s iconic models, now available in different executions, colours, and materials. One of the latest is the Cintrée Curvex Moon Phase, a timepiece that offers a striking and sophisticated look. Housed within the diamond and white gold case is a sun-stamped dial with the distinct baroque-inspired numerals. The moon phase at 6 o’clock adds a graceful touch to the emblematic curved dial. Harry Winston’s Ocean Biretrograde timepiece features retrograde displays and off-centred hours and minutes against highly saturated colours. The ‘burgundy’ model (which borders more on deep pink) is a dramatic timekeeper with its burgundy mother-of-pearl dial in a white gold case. Its retrograde displays indicate the days of the week and seconds, with the counters framed by a row of seven brilliant-cut diamonds and engraved with a lotus flower. The dial also hosts a large droplet of water traced in diamonds at 6 o’clock, framing the date window. 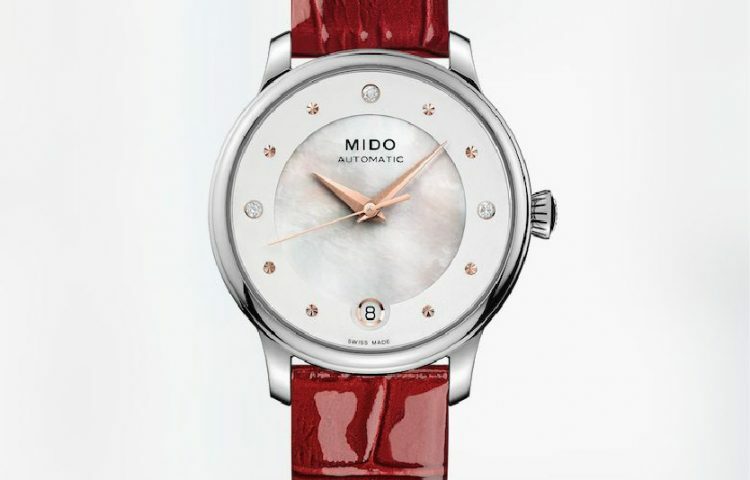 It comes in a pearly burgundy alligator-leather strap set with 42 diamonds on the buckle. An oversized watch at 39mm, the Big Bang One Click Sapphire timepiece is aimed at ladies who demand something modern and sporty. 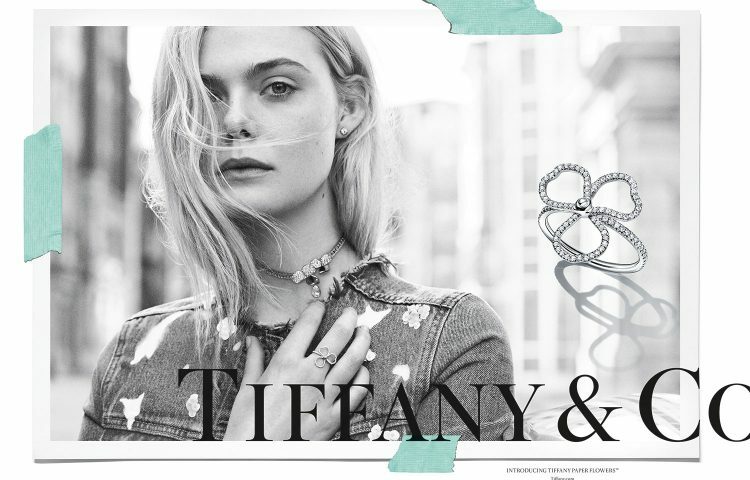 Known for its multiple “personalities”, ranging from denim to pop art, as well as the patented “One Click” strap attachment system, this latest variation features sapphires —either transparent, pink or blue. The case is cut entirely from sapphire crystal, a material that is resilient and hard, but requires a costly and painstaking process to create. 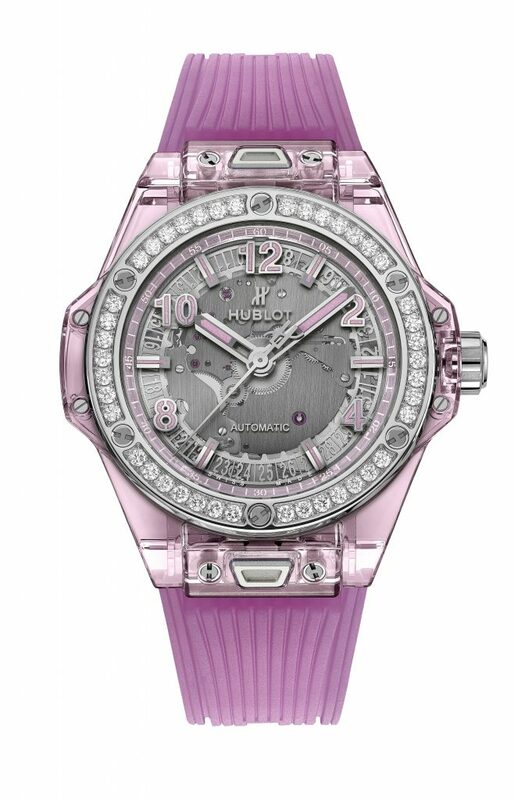 The stainless steel bezel is adorned with 42 diamonds and six titanium screws, and comes with a matching rubber strap. At its heart is the HUB1710 manufacture automatic movement.